The top four in Class AAAAAAA remains unchanged. No. 2 Meadowcreek dropped a heartbreaker, having a shot blocked at the buzzer to lose 45-44 against Mountain Brook (AL). No. 3 Wheeler squeezed by Westlake 63-62 in Region 2 play while No. 6 Pebblebrook survived No. 9 East Coweta 63-60, using free throws to ice the game. No. 5 Discovery got revenge against Milton 64-56 while No. 7 Grayson, up two spots, righted the ship with a big second half to blow past Class A-Private No. 3 ELCA at the SportalShowcase 80-71. Deivon Smith earned a Georgia State offer after posting 21 points, 10 rebounds, 3 assists, 2 steals and 4 blocks en route to MVP honors. Class AAAAAA continues to be wide open. No. 1 Tri-Cities escaped Creekside 60-57 while No. 2 Alexander had Houdini acts to slip by Langston Hughes 76-74 and New Manchester in overtime 69-67. The two-time defending state champ, Langston Hughes (3-5), exits the poll after their loss to Alexander and a 60-58 overtime defeat via South Paulding. Following them out is South Cobb (5-4). The Eagles lost at the buzzer to newly ranked No. 7 Sprayberry 59-56 and Redan 53-51 last week. Trailing behind the Yellow Jackets and entering the poll for the first time is No. 10 Lanier. The Longhorns have an imposing frontline and a sharp backcourt paced by the trio of Sion James, Jehloni James and Jalen Surles. Up near the top, No. 3 Coffee blew a 21-4 first quarter lead and lost a classic to Campbell at the SportalShowcase 72-70, unable to corral Terrell Burden who finished with 39 points and the game-winning floater. Jayce Moore was terrific in his own right, the 6-foot-2 unsigned senior bullying his way to 27 points, 10 rebounds, 7 assists, 5 steals and 1 block. No. 4 North Atlanta had played with fire all season winning close games, but they got burnt by AJ White’s 30 points in a 67-59 loss to Chattahoochee. The Warriors maintain their position however since No. 5 Brunswick has yet to be challenged, their best wins coming over 5-2 Camden County (76-53) and 4-4 Tift County (66-56). Their bout with Coffee in Douglas this Saturday will truly gauge where the Pirates are at. Even with a 74-65 loss to undefeated Lanier (AL), No. 1 Southwest DeKalb retains their position atop Class AAAAA. Their win over No. 5 Lithonia 56-55 on Tuesday gave the Panthers cushion to withstand Saturday’s loss. No. 2 Buford is inching closer to closing the gap, but their strength of schedule does not come close to what Southwest DeKalb has seen thus far. The Wolves steamrolled 3-9 Huntsville (AL) 83-50 on Saturday, but see the level of competition rise quickly with Class A-Private No. 8 Holy Innocents’ and more importantly, Class 7A No. 3 Wheeler on the menu this week. Defending state champion No. 6 Warner Robins claws its way up two more spots following a 62-51 win over Houston County but more so because Hiram (5-4) and Cedar Shoals (2-4) drop out ahead of them. The Hornets lost all three games last week stumbling against North Paulding in 2OT 68-62, returnee to the poll No. 10 Carrollton 64-40 and Villa Rica 41-32. Cedar Shoals lost 78-73 at winless Dacula to fall out. Carrollton used their win over Hiram as a springboard and outgunned Paulding County 92-76 the following day. Debuting in the Top 10 is No. 9 Statesboro. The Blue Devils have won four-straight, highlighted by a 61-49 win over Class 3A No. 4 Johnson-Savannah. 6-foot-3 junior Zarion Griffin has taken the reigns of the offense, pouring in 17 points per game. The best team in Class AAAA won their 71st straight game as No. 1 Upson-Lee continued to destroy the opposition. They held Howard to two points in the second half in their 72-27 rout. No. 3 St. Pius X is finding their groove, beating Class 7A No. 8 Newton 56-50, but the Rams were without starters Mike Mathison and Tyrease Brown their best shooter. No. 4 Woodward Academy and No. 5 Henry County flip-flop again after the War Eagles edged the Warhawks 68-58 behind Walker Kessler’s 22 points, 13 rebounds and 2 blocks. The head-to-head result inches Woodward Academy past Henry County even though the War Eagles ended the weekend on a sour note, losing 66-60 at a much-improved Druid Hills. The bottom of the poll shuffles as well as No. 6 Carver-Columbus moves up a spot after beating No. 9 Shaw 68-63. No. 8 Americus-Sumter is down two positions after a 96-79 blowout loss at Dougherty. Rising to No. 7 is Chapel Hill. The Panthers look like they are for real, outlasting Allatoona 64-62. The backcourt consisting of 5-foot-5 junior Javontae Jackson (15), KJ Doucet (15), Micah Bell (13) and Mike Bell (13) combined for 56 points, Jackson the catalyst with 6 assists and 6 steals. It took just one loss, but that’s all that was needed for No. 1 GAC to jump back over No. 2 Morgan County for pole position in Class 3A. Since their 0-3 start, the Spartans have been fantastic winning five-straight with their roster back intact. GAC picked up three ho-hum wins against ranked opponents, beating Class A-Private No. 6 Trinity Christian 65-49, No. 5 Dawson County 82-75 and Class 5A No. Lithonia 73-52 as unsigned senior point guard Hunter McIntosh moved into fourth-place on the GAC all-time scoring list. Morgan County lost a tight one against 12-2 Wenonah (AL) 56-53. No. 3 Cedar Grove won at No. 6 Pace Academy 46-44 after the Knights pummeled Class A-Private No. 8 Holy Innocents’ 74-42. No. 4 Johnson-Savannah slips a spot after losing 61-49 to newly ranked Class 5A No. 9 Statesboro. No. 7 Hart County loses a little ground after a 46-39 loss at Elbert County. No. 10 Westside-Macon fell 61-55 at No. 9 Central-Macon. Would you believe me if I told you that Class AA is the deepest classification in the state? It’s true. While there may not be any superpowers loaded with transfers, make no mistake that the Class 2A Top 10 is the toughest to crack week-in and week-out. With upwards of 15 to 20 teams deserving of a ranking, the margin of error is slim. No. 1 Woodville-Tompkins aced their road tests this week, drilling Swainsboro 86-42, escaping Vidalia 55-48 and surviving newly ranked No. 10 Chattooga 50-48 in a SportalShowcase thriller. There is a swap of Indian tribes as Vidalia (6-1) departs and Chattooga is in. 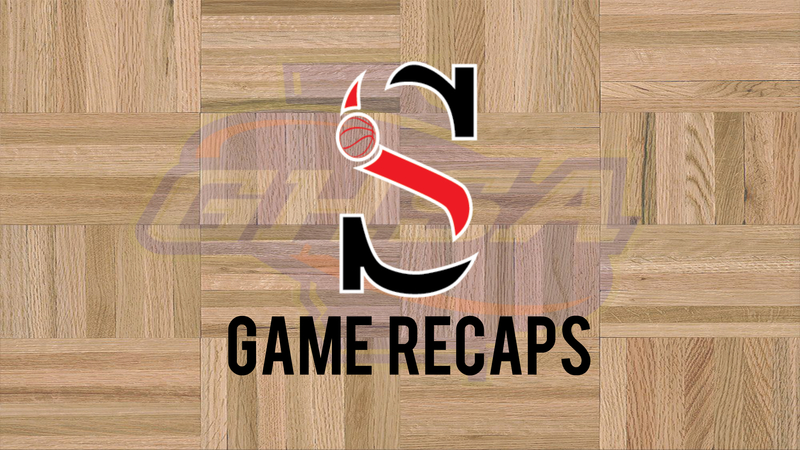 You can’t ignore what Chattooga did, weathering a Wolverine onslaught to have a final shot at the buzzer to win the game. Woodville’s press shook the Indians early and Preston Crisp (15 points, 7 rebounds) and Bernard Pelote (11 points, 13 rebounds) hurt Chattooga with their size, but 5-foot-6 Nuk Adams ignited the Indians in the third quarter after trailing by 13 to score 9 of his team-high 12 points in the frame. Adams added 4 rebounds, 6 assists and 4 steals in the loss. The Indians had a slow start to the season and missed Devin Price in their only two other losses to Tennessee competition that has a combined 16-4 mark. Wins over Armuchee 85-26 and Dade County 100-42 before their hard-fought loss to Woodville-Tompkins has put Chattooga back in the Top 10. Metter (4-1) falls from No. 5 to unranked after losing 78-71 at Jeff Davis. 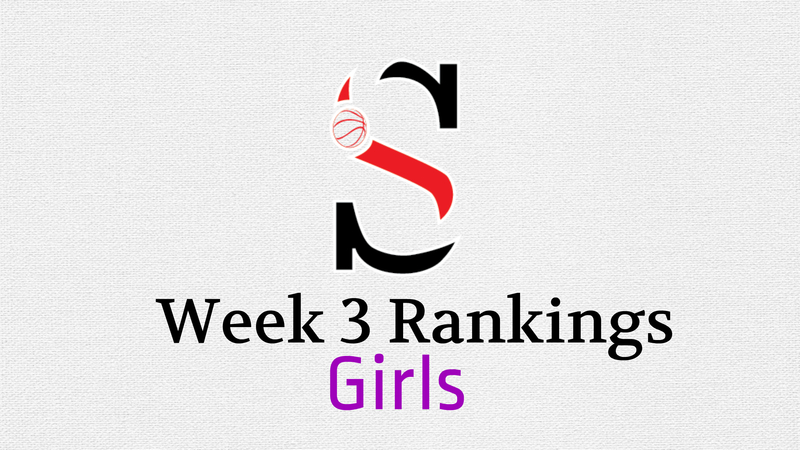 Don’t be surprised to see the Yellowjackets in the rankings later this season. 6-foot-6 Ja’Queze Kirby nearly led an inexperienced group to an upset of Class 6A South Paulding, falling short 75-71. Kirby hanging 30 points, 17 rebounds, 7 assists, 2 steals and 4 blocks in his Metro Atlanta debut. No. 7 Northeast-Macon climbs two spots after knocking off No. 8 Bleckley County 54-42. Debuting in the Top 10 is No. 9 Butler. The Bulldogs have early season wins over Redan 68-60 and Class 5A No. 9 Statesboro 60-45. Class A-Private will get very interesting as region play starts to heat up. No. 2 Mt. Bethel beat No. 5 Walker 75-62, but the Wolverines move up a rank after No. 6 Trinity Christian suffered a 65-49 loss to Class 3A No. 1 GAC. No. 8 Holy Innocents’ falls another spot after a 74-42 beat down at the hands of Class 3A No. 6 Pace Academy and a 77-57 loss to Columbia (AL). No. 9 Riverside Military rises a spot following a 63-53 win at Wesleyan and a No. 10 Mt. Pisgah 44-39 loss at Whitefield Academy. No. 1 Wilkinson County is still clinging onto the top position in Class A-Public after losing at newly ranked No. 8 Hancock Central 62-58 before dusting themselves off with a 61-50 win over Class 3A No. 9 Central-Macon. After two down years, the Bulldogs look like they might be back on track under first-year Head Coach Ricky Chatman who replaces Anthony Webb. The Dogs beat No. 10 Greene County 70-61 and their only two losses have come against Baldwin, 68-67 and 67-61. No. 6 Drew Charter is down three spots after losses at Class A-Private No. 4 Greenforest 85-44 and to Maynard Jackson 63-61. Lanier County (3-3) falls out. The Bulldogs have been treading water, losing to Lowndes 52-49 before winning at Telfair County 60-58.